We are pleased to introduce ourself as the largest ice-cream manufacturer in Orissa and the first ice-cream company to be certified with ISO 22000:2005 in our region. This certificate itself speaks volumes about the company and the product. This is an internationally recognized certificate and only a handful of ice-cream manufacturing industries in India have been ISO 22000:2005 certified. With this certification, we have achieved yet another milestone. We produce a wide range of ice-cream to suit different customers taste with automated imported machines in a completely hygienic process. We sell the same all over Orissa and parts of neighbouring states of Jharkhand and Andhra Pradesh. We have the largest dealer and distributor network in Orissa and our prime aim is the customer's satisfaction. 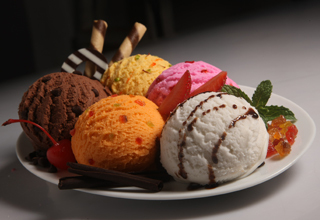 We af Frostee are comitted to deliver hygenically produced "Ice-cream and Frozen Desserts" at affordable price and attain customer delight. We shall be always in compliance with statutory and regulatory requirements of customers through continual improvement of our quality management system, said objectives and team work. Delight our customer by analyzing and reviewing customer feedback and provide new varieties and flavours. Monitor and measure all process parameter and reduce the inprocess rejection level. Increase market share and customers base. Meet delivery schedule as committed. Train employees continually and improve upon retention period. Reduce down time of plant and production equipment and improve productivity. Be always in compliance with ISO 22000:2005 management system.